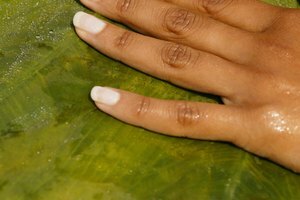 Choosing the proper nail shape is an important element of grooming and proper nail care. Nail shape and length are one of the most quickly noticed aspects of your nails, and choosing a shape and length that complements your personal style is just as important as the nail polish color you choose. Choosing the proper nail shape and length is important functional choice; the more frequently and intensively you use your hands, the more important it is to choose a nail shape that is not only fashionable but also functional. Choose a nail length by considering your lifestyle. 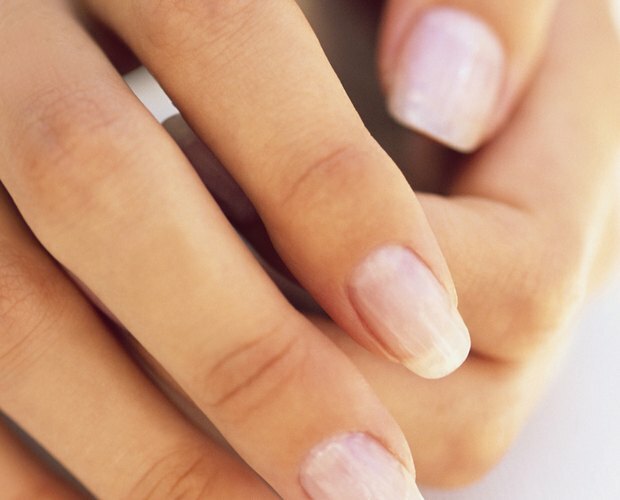 The more frequently you use your hands, particularly unprotected, the shorter your nails should be. Activities like washing dishes barehanded, gardening without gloves, playing sports, and cleaning house all make you an ideal candidate for a short nail length that just barely extends past your fingertips. Additionally, some food service positions require employees to keep their nails trimmed quite short to avoid breakage and sanitation problems. Choose a nail shape. There are five basic nail shapes: square, oval, squoval, round, and almond/point. Squared tips are flattering to if you have wide nail beds, ong, slender fingers, or if the lunula -- the bottom, half-moon of your nail bed -- is naturally squared. Squares are also a good choice if you decorate your nails with nail art. Oval and squoval -- a subtley squared oval -- nail shapes are almost universally flattering. Rounded nails are the most conservative nail shape, and is a good look for those who keep their nails short. Almond or pointed nails are somewhat avant garde, and not for those who use their fingers frequently, as it weakens the nail. Experiment and be flexible. Fortunately, nails grow very quickly, so if you choose a shape or style that you decide doesn't work for your lifestyle or mesh with your style, simply trim them short and begin again. Additionally, you may want to choose different lengths or styles for different occasions, like growing out your nails in advance of a special event. Guitar players have special requirements when it comes to nail shape, as nail length and shape affects the sounds emitted from the guitar. The nail edge should reflect the fingertip shape and extend about 1/8th of an inch beyond the finger tip when looked at with palms facing you and hands held at eye level. The fingernail should curve smoothly into the cuticle.